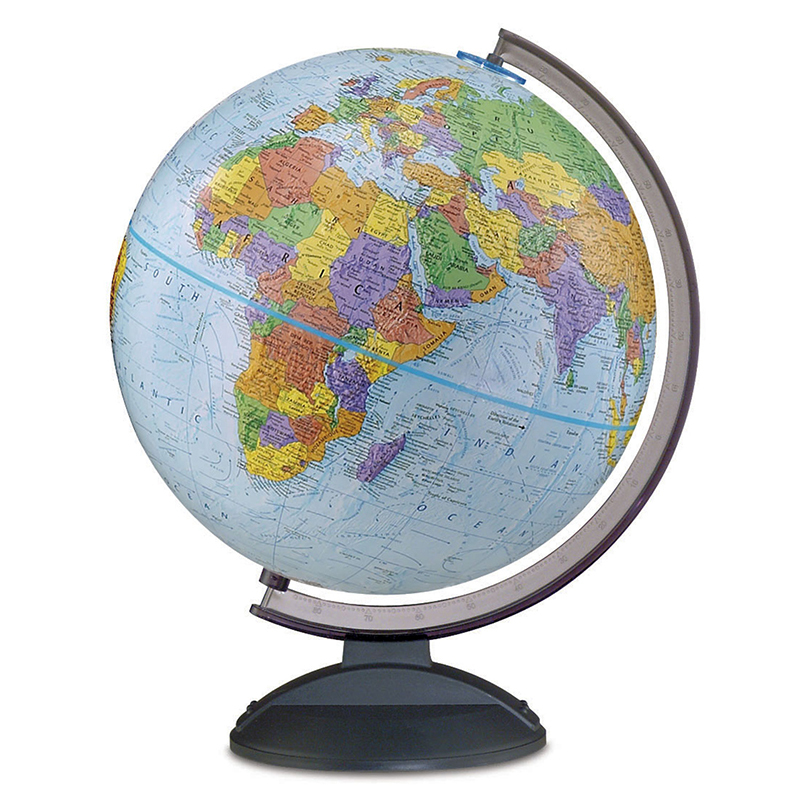 Light weight, durable 12" blue ocean globe mounted in scratch resitant black molded base. Raised relief. Up-to-date. Stands 16" high.